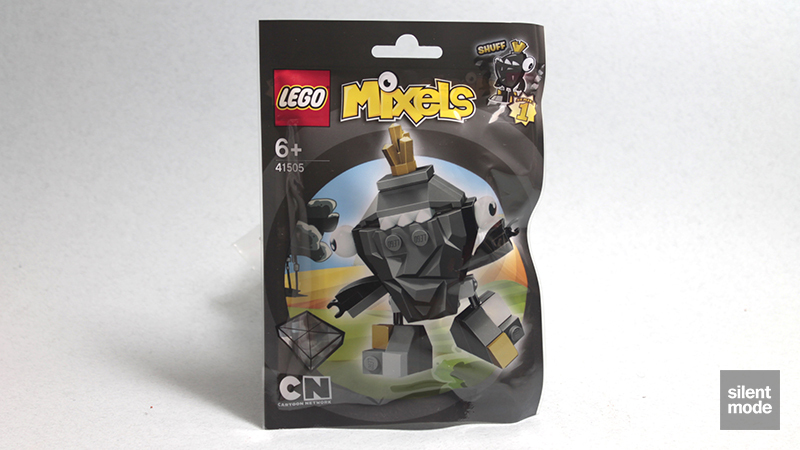 Who’s the Mixel with a rock solid body and short limbs, looking kind of odd-y? Who’s goofy looking, kind of thick? A waddling mound of LEGO bricks? Whatever you think of the prominent model on the front of the packaging, the drawn character on the top right is a bit of a disappointment… but probably easier to animate that way! The back of the packaging we’ve seen before. Along with the highly uncommon “rock” parts we’ve seen in the Seismo review, the other, very specialised rock parts in Dark Stone Grey (part 64867) are exclusive to Shuff. There are really only a few applications for that part, but it’s a rather uncommon one anyhow. 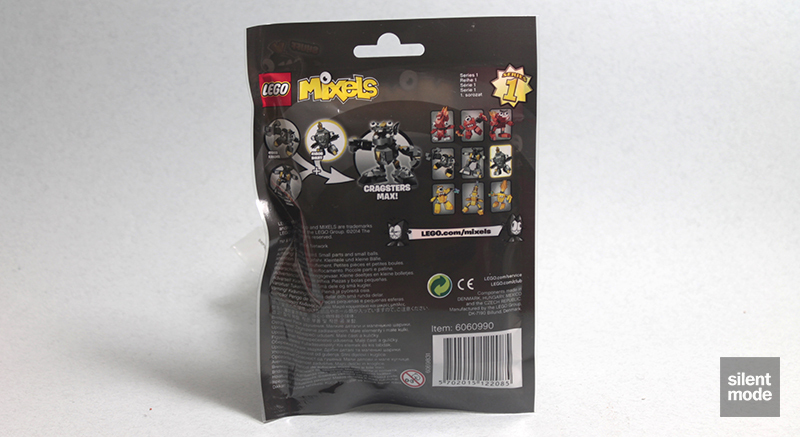 Shuff is also the third of three Mixels in Series 1 to come with the Black 2×2 “towball” joint parts, and one of five to have the White eyeball parts, which are both currently exclusive to the Mixels theme. The build begins with a more traditional arrangement of parts, where the new joint pieces immediately come into play. From there it’s small piece on top of small piece, as this very solid core of parts begins to take shape. The eye parts grip precariously to the sides, and one thing that becomes apparent is that it’s difficult to position them do it looks like a sane creation. Eventually we get to work on something other than the body… but we also notice just how little there is to add! Just a couple of puny arms, and the Pearl Gold gem rock that resembles a crown. Here comes Shuff: self-proclaimed “king of the Cragsters”, even with its occasional habit of tripping over itself with its stubby legs. And stubby they really are: the articulation in this case is very limited, in both the legs and arms. SHUFF is a member of the Cragsters, a tribe of tough, hardworking miners who live in the many tunnels and caverns they have dug deep under the surface of the world. Helpful and friendly, but very clumsy, SHUFF has a body like a living wrecking ball and usually ends up accidentally smashing everything. 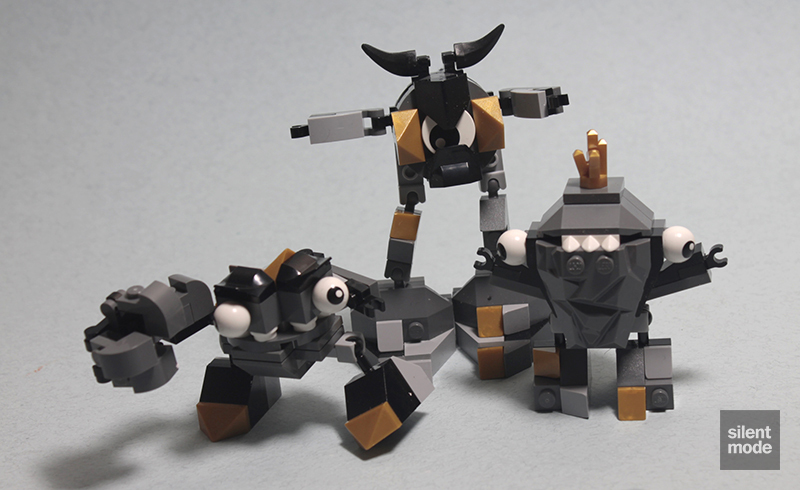 It turns out that the Cragsters are more generous than the Infernites, with four leftover parts… all potentially useful for MOCs, or you can add extra bits to Mixels. 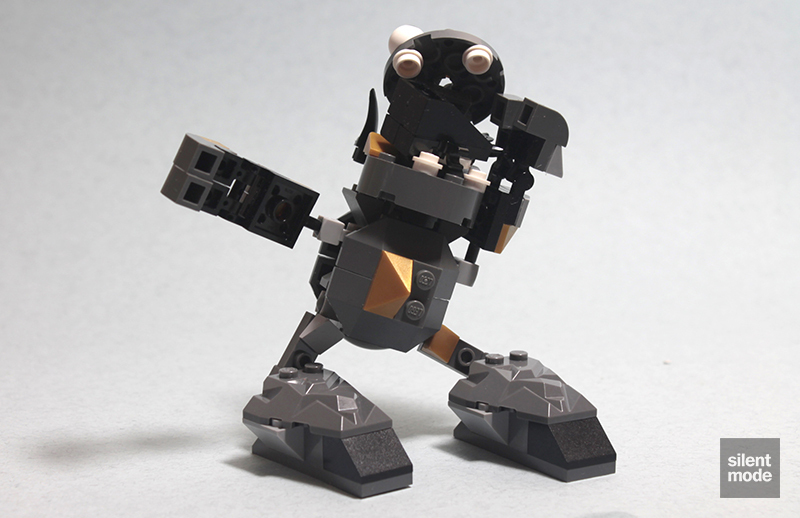 Shuff is definitely the kind of Mixel, or even LEGO set, that someone identified as a LEGO fan would be given as a random gify – and don’t be surpised if it ends up being displayed on their workplace desk. “Look at me,” it screams, “I’m something cool made of LEGO”. It’s a very solidly built Mixel, and one of the more aesthetically pleasing ones – but like a couple of the others it has very limited articulation, particularly with the arms. If you’re after some of the exclusive and rare parts this set has to offer, it’s a virtual no-brainer at this price. It’s also worth picking up to complete your Mixels collection. Similarly to the others, we’re giving Shuff 6.4/10. 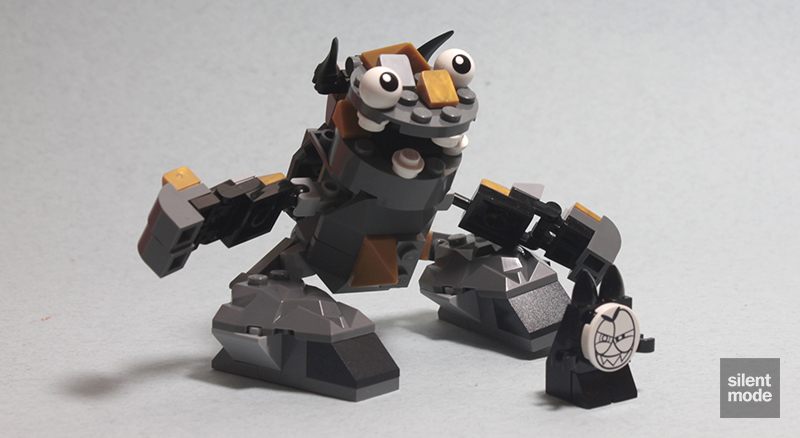 …we get this dopey-looking behemoth, appropriately named Cragsters Max! Thanks to Shuff’s dominance, it may look like it’s two rocks short of a pile, but never underestimate its brute force and incredible strength.